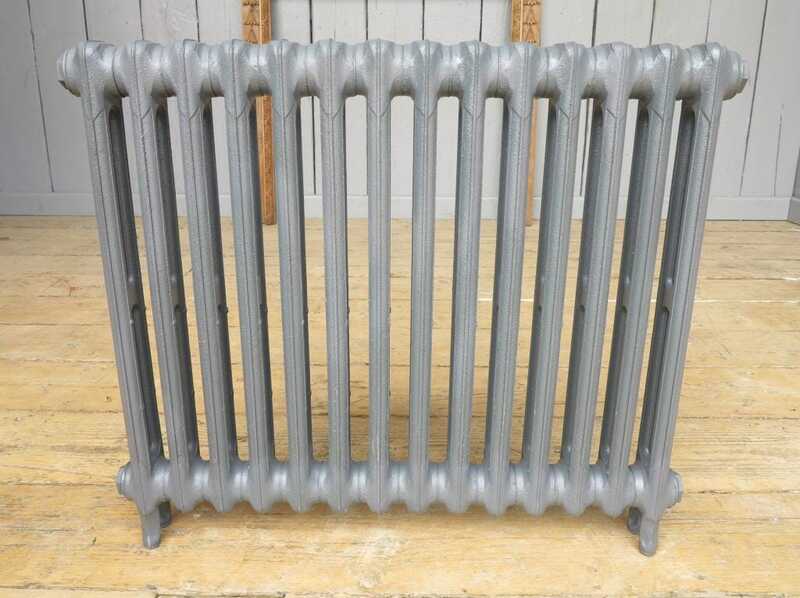 This cast iron radiator has an output of 798 watts 2716 BTUs (to British Standard Delta 60 figures). 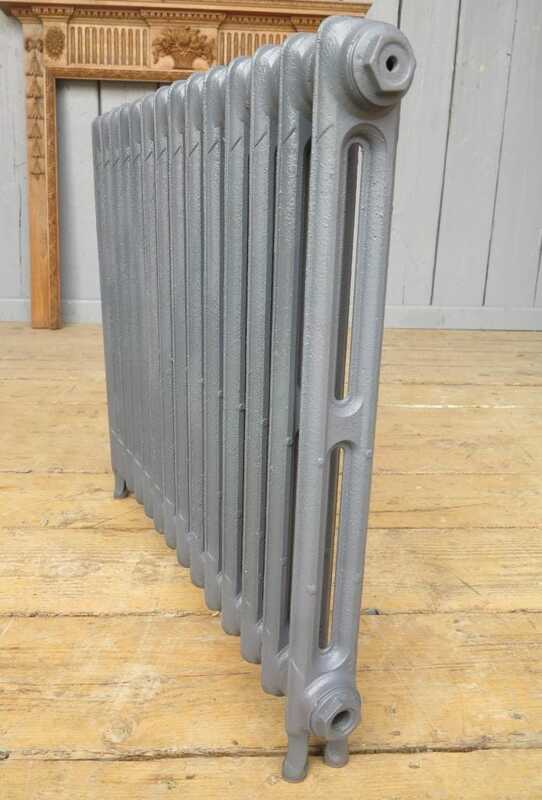 This radiator measures: 615mm tall x 775mm long x 70mm deep. The pipe centres are 909mm long. 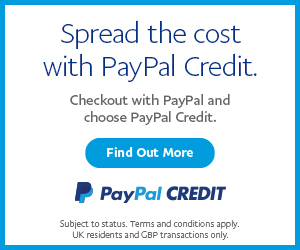 (all measurements are approximate as these items are finished by hand). 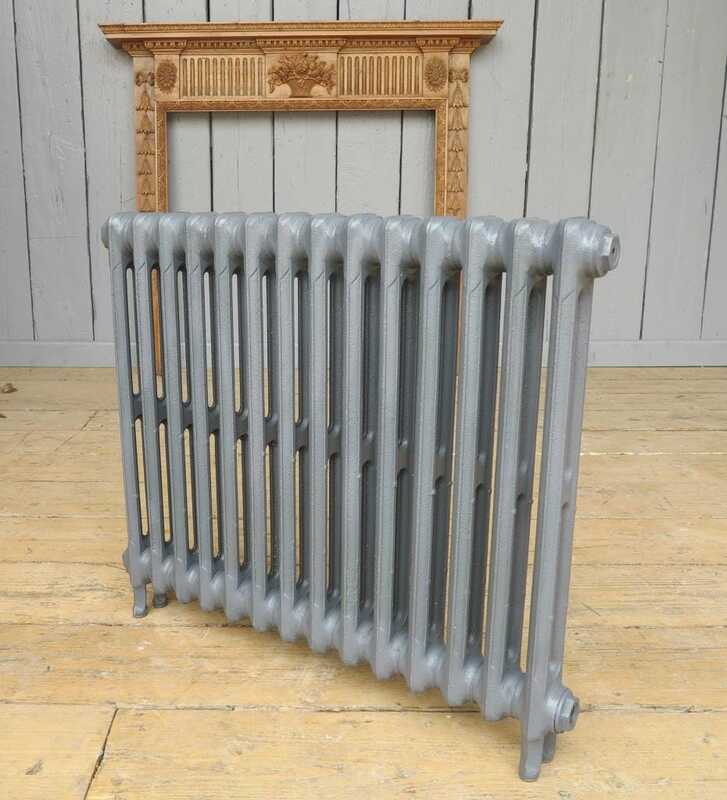 This Cast Iron Radiator is finished in Grey Primer - ready for you to top coat with any metal paint - it does not need to be heat proof paint - nothing special as long as it is for metal. 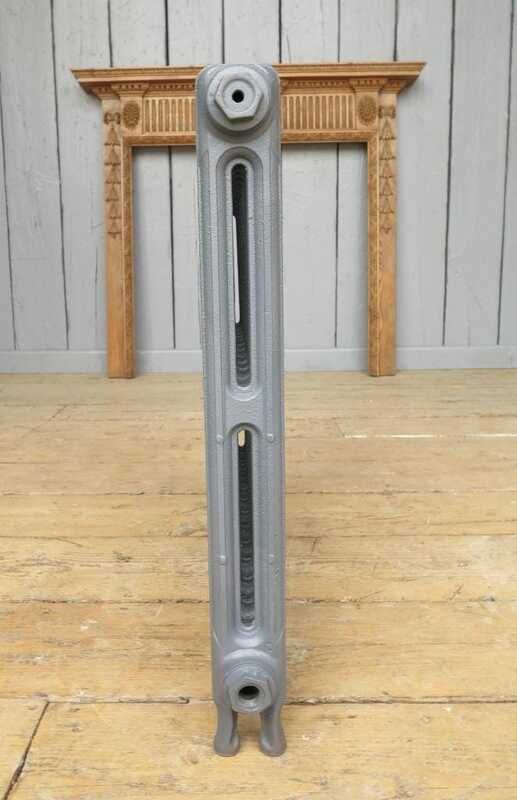 99 % of the valves that we sell will fit this radiator. The Primer finish is an undercoat only and shades will vary.